We’ve all been there were we are scrolling down Facebook, Twitter or YouTube and find ourselves unable to stop as we are curious to see what we can discover next. In today’s world, it is often video content that we are more attracted to as its compelling and eye-catching. Furthermore, regardless of background or professional experience, can create and share original content for social media audiences for the world to see. A well-structured and planned Video can tell a story that touches the viewer’s emotions, gaining more awareness. 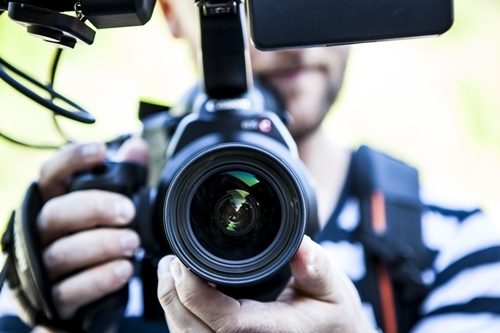 Video Content Creation is the Future of Influencer Marketing as its one of the best ways to engage and interact with your customers, build long-term relationships and grow strong customer loyalty. How audience reacts to a film is as important as how a potential customer reacts to a business. Here at Fuzion Digital, we have a production team that specializes in Video Content Creation, with a background in filmmaking, post-production and script writing which means that Fuzion Digital is a true specialist in producing jaw-dropping, shareable video content. We make sure the production process is as efficient as possible to save time, resources, and get our clients the best returns on investment. This involves coming up with creative approaches to ensure that our client’s audience get enough information about the nature of the business and the right expression to generate the desired emotion.